Back in stock: Churchmouse patterns. 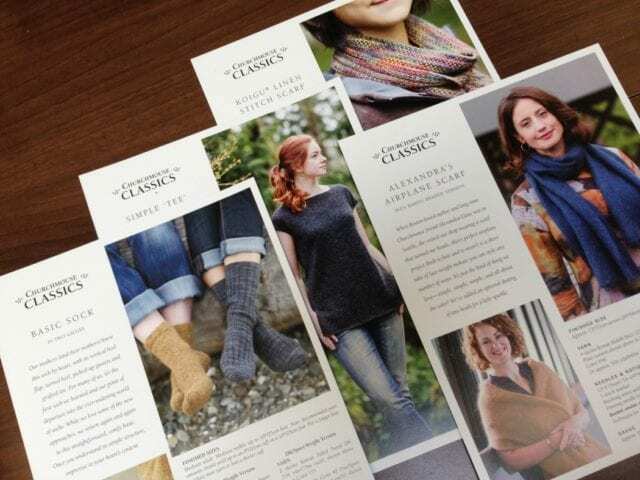 For some years now, we’ve carried knitting and crochet patterns from Churchmouse Yarns & Teas, a lovely yarn shop in Washington State. Their designs are known for being user-friendly and elegantly understated, the better to show off good quality yarns. Anne’s latest “Easy Folded Poncho” has had many knitters reaching for that particular Churchmouse pattern, such that we were due for a reorder. 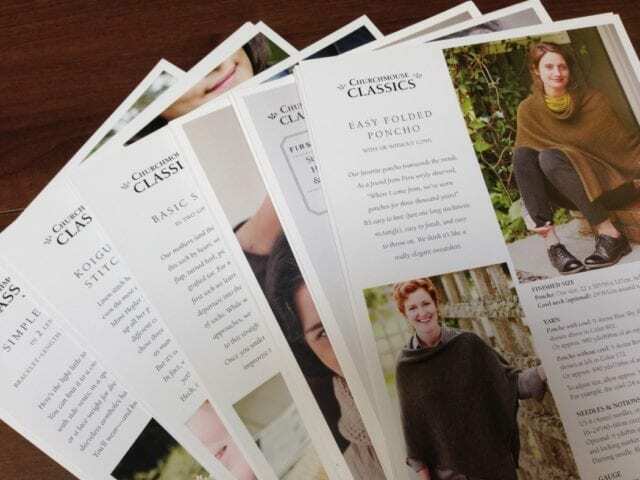 That order arrived last week, so we now have a good supply of poncho patterns, along with other old favorites and some new ones, too. The Churchmouse Classroom series is aimed at new knitters and crocheters, and features additional photo tutorials to guide you through each technique. 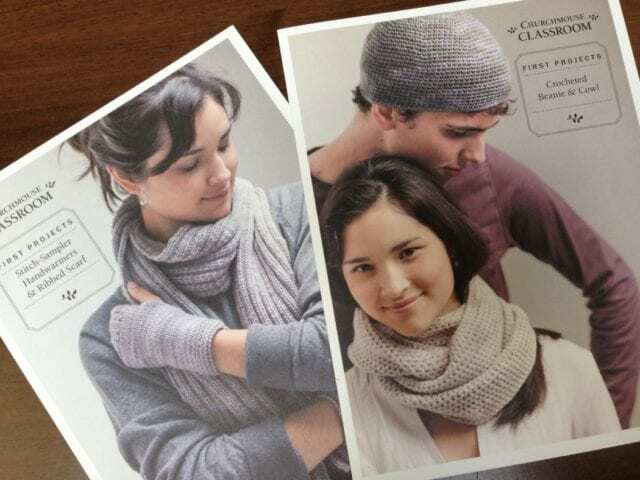 Marsha’s “Stitch-Sampler Handwarmers” class is always popular for new knitters, so we’ve got a fresh supply of that pattern, but we hadn’t had the “Crocheted Beanie & Cowl” before – look for that in our Crochet Patterns binder. Because of the simple shapes and textures in these designs, the yarn choices for Churchmouse patterns are limited only by gauge. Pick a garment you’d like to make, and we’ll be happy to show you the many yarns that might suit it, and help you narrow it down from there. 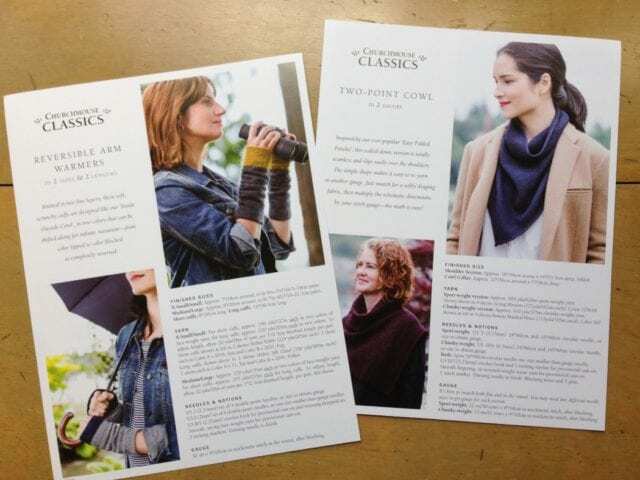 Come by the shop to see our full selection of single patterns – we have many binders full of them! It’s great to be able to read through a pattern before you buy it, to get a sense of what you’re getting into. Ask us if you’re looking for something special, and we’ll be happy to help you find it!